It’s difficult enough dealing with the lifetime repercussions of a serious medical mistake which results in a birth injury and lifetime disability without also having to deal with additional mistakes made by the defendant in paying the required settlement after such a tragedy. 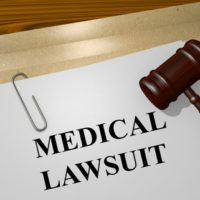 Unfortunately, that was one woman’s experience in a lawsuit recently filed against MetLife, alleging that the company helped the woman’s mother keep the settlement funds from her daughter, who suffered from the medical mistake. The victim—Nicole Herivaux—suffered a mistake made by the doctors who delivered her in 1980 which left one of her arms useless, leading to a settlement which included a $200,000 payout to cover various expenses such as college, as well as a $2,200 per month income paid to her directly by the company’s insurance firm. What Did The Settlement Dictate? The settlement reportedly stipulated that the funds be placed into a bank account for Nicole until she reached age 18. However, according to the lawsuit, MetLife Inc. instead mailed checks to Nicole’s mother, who then did not pass on the full amount of the proceeds to Nicole. The case highlights why it is so important that you work with experienced medical malpractice attorneys in any malpractice claim so as to ensure that any settlement agreements entered into are crafted as carefully as possible. Settlements should be specific and dictate how a plaintiff is going to receive any and all settlement payments so as to avoid the settlement funds ending up in the wrong hands. This particular case involved a “structured-settlement annuity,” or routing the funds through a guardian until the injured individual turned 18. This was a popular way of resolving medical malpractice cases that involved minors like this in the 1980s. But it is still crucial that they spell out what happens when the minor turns 18; if they fail to do so, this can lead to a whole host of problems, including potential litigation at a later date. In this case, initially, the payments were deposited into the banks, however, the named payee mysteriously changed when MetLife took responsibility for the annuity. It is also important to note that this is not the first time this issue has popped up with regard to MetLife Inc.: The company recently acknowledged failing to pay out benefits to some 13,500 retirees, dating back to as early as the 1990s, in its move to take over private-sector pension plans. According to the company, it simply failed to “aggressively search for people” as they neared the age of eligibility. Earlier in 2012, MetLife also settled a multistate investigation into unclaimed death benefits. If you or a loved one has suffered from medical malpractice or a birth injury, contact our Florida medical malpractice and personal injury attorneys at Friedland & Associates today to find out how we can help.